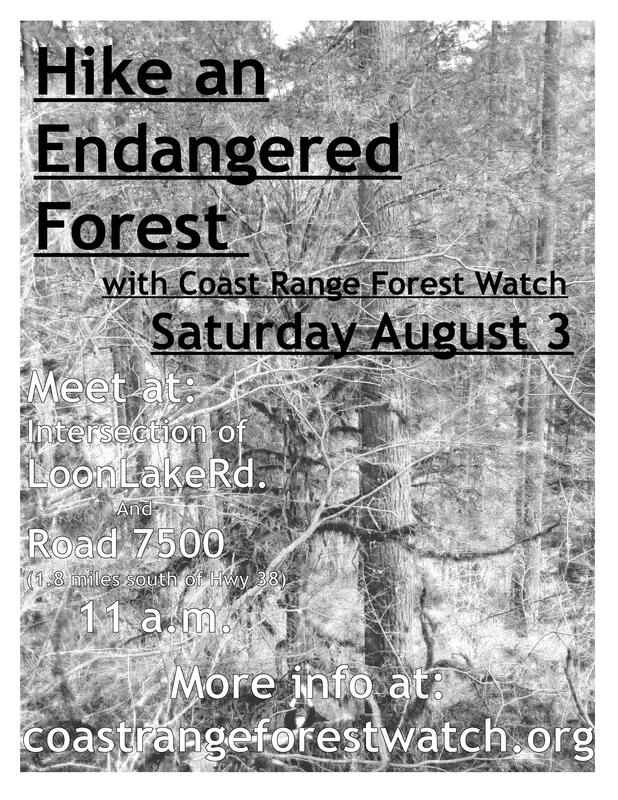 Join us on Saturday, August 3 as we hike in the Elliott State Forest. We’ll be hiking in the north east corner of the Elliott, in an area that has been part of several proposed timber sales, the latest being part of a timber auction in March 2013. While it is not currently at risk of being logged, the threat of saws loom in the distance. This diverse stand is part of the remaining native forest that regrew after the Settler Fire of 1868. This will not be a strenuous hike, and afterwards there will be a picnic and discussion. –Turn left onto 7800(there is a small sign at this intersection that reads “Locked Gate 4 miles”. –We will be meeting at and walking together from the locked gate.